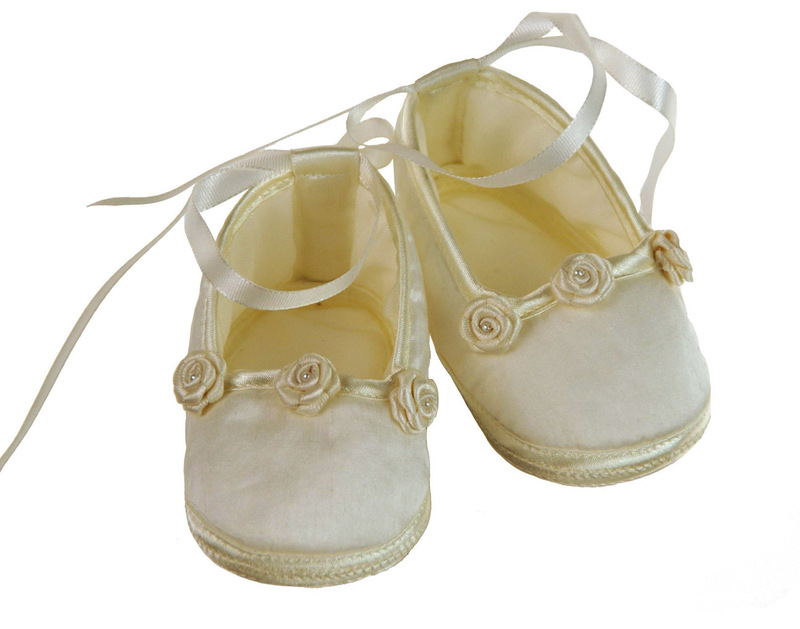 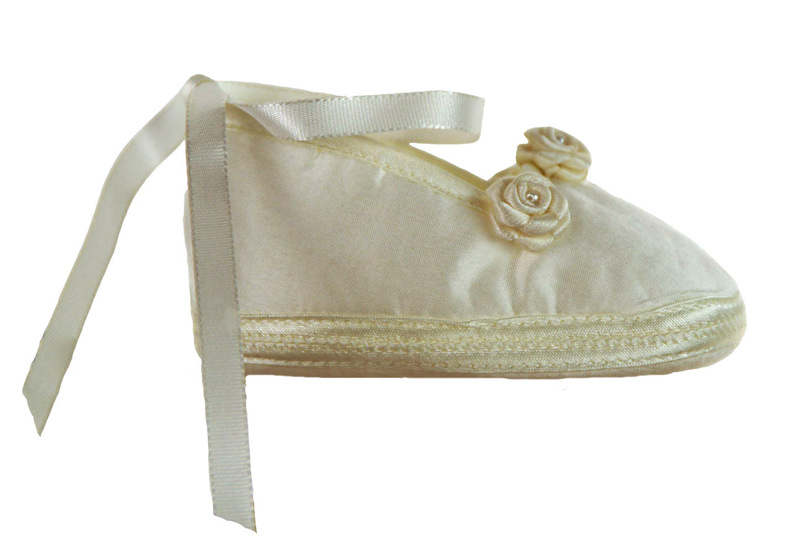 Made by Willbeth, a leading designer of beautifully detailed children's clothing for more than 30 years, these lovely ivory silk shoes are accented with ribbon roses centered with tiny seed pearls. Ivory ribbons tie around baby's foot. 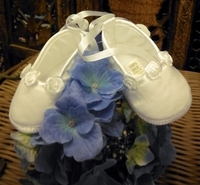 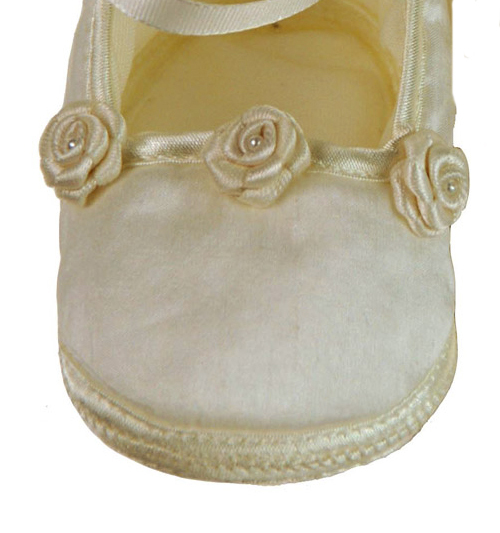 These ballerina style crib shoes are perfect for your baby girl's christening or any special occasion.